It is mandatory to get registered under GST if your business’s annual turnover is exceeding twenty lakh. The aforementioned rule is applicable for both i.e. products and services. And, if you are seeking professional help for the same, count on VMR & Company (Chartered Accountants) is a Delhi, India based service provider company and can be approached for accruing prompt and economical solutions. 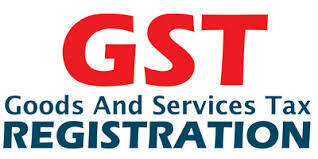 VMR provided GST registration services are rendered by a group of professionals keeping in mind governing rules and clients’ functional requirements.